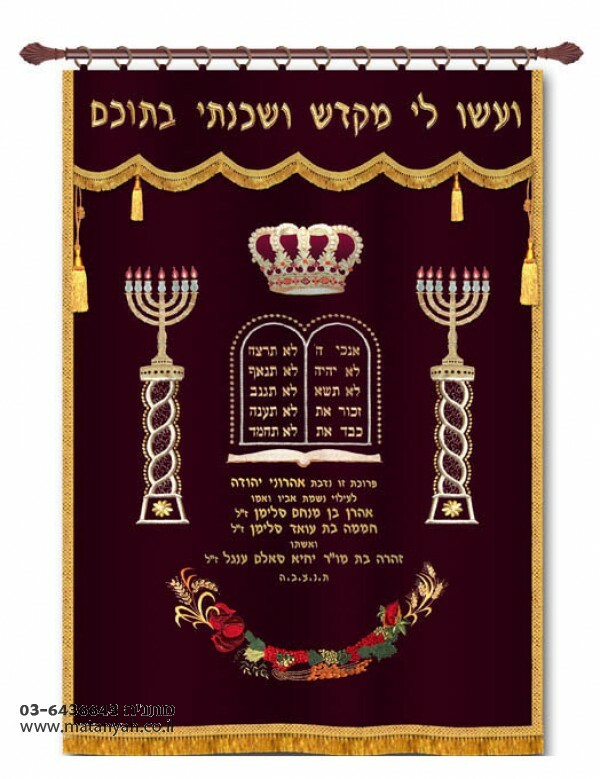 These magnificent parochot feature Judaic themes like Torah Crown, Lions, Tablets, Candles and Menorahs richly ornamented with machine embroidered artistic art. An intricate Torah Crown is in the middle. A verse is inscribed above the Torah Crown on the Kaporet. Menorah Pillares are intrically woven on each side. A large place for dedication is in the middle. Tablets are intrically woven above the dedication. Color : Bordeaux w/ Gold.